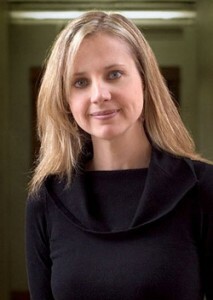 Dr. Samantha Nutt, MD, MSc, CCFP, FRCPC, LLD, founder of the humanitarian organization War Child Canada, will receive an honorary doctorate from UBC during UBC Okanagan convocation ceremonies on June 11, 2010. Over the course of her professional career and as the founder and executive director of War Child Canada, Nutt has spearheaded efforts to provide direct humanitarian support and long term programming to war-affected children and their families, and to promote greater awareness in Canada concerning the rights of children everywhere. Nutt is a medical doctor specializing in maternal and child health in zones of armed conflict, family medicine, public health, refugee health and women’s health. She is also on staff at Sunnybrook and Women’s Health Science Centre and is an Assistant professor at the University of Toronto in the Department of Family and Community Medicine. Known for inspiring others to make a difference in the lives of those affected by war, Nutt works with the United Nations and non-governmental organizations in Iraq, Afghanistan, the Democratic Republic of Congo, Liberia, Sierra Leone, Somalia, Iraq, Burundi, northern Uganda and the Thai-Burmese border. Chosen by Maclean’s Magazine for their Honour Roll as one of “12 Canadians making a difference,” she has received numerous humanitarian awards for her work in support of war-affected children. Nutt was a featured presenter in UBC Okanagan’s Distinguished Speaker Series in January 2008, when she spoke in Kelowna on the topic of social responsibility and acting on our responsibilities as citizens. *This citation was originally released on March 11, 2010 and can be found on UBC’s Okanagan News website.